Send payments the safer way. Now you can send local or international payments from anywhere you happen to be, at home or on the go. All you need is the recipient’s email address. 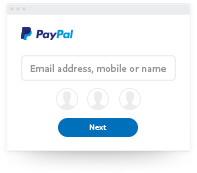 If they’re new to PayPal, they can create an account quickly for free. How to send an online payment? Choose your preferred way to pay and send it securely. Track your spending easily. 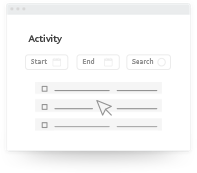 You’ll be notified whenever you make a transaction. It’s free to send payments. 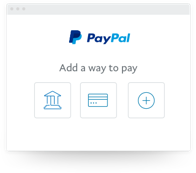 You don’t need to pay a transaction fee when you send payments with PayPal. The recipient covers that. If you send a payment overseas in a different currency, a small conversion fee applies. It’s a safer way to pay. We keep your financial information securely encrypted, so you can pay online with confidence. Plus, your eligible transactions are safeguarded with Buyer Protection. Link your credit or debit card once and continue earning reward points the same way you do when you shop. Send payments from your mobile. Download the PayPal app and you can send payments anytime, anywhere, and keep track of all your transactions in one single place. Send payments anywhere, to anyone.